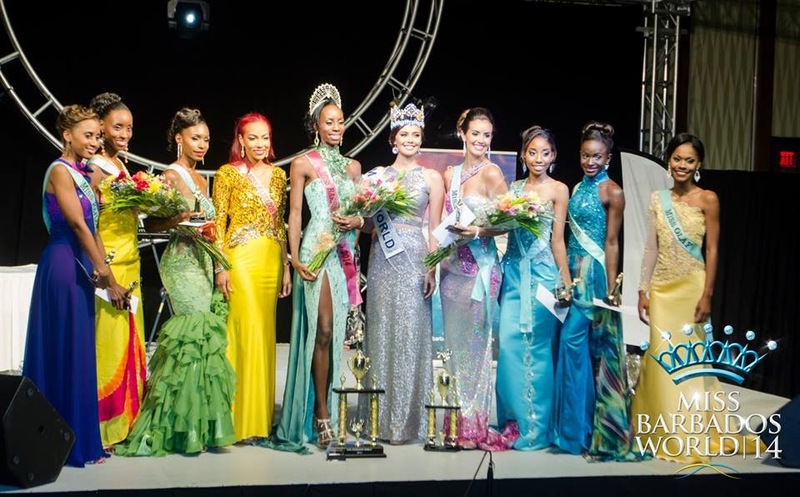 22 year old Zoe Trotman was crowned Miss Barbados World 2014 at the Hilton Barbados Resort in Bridgetown on May 24. Standing 1.78m tall, Zoe will represent Barbados in Miss World 2014 in London, England on December 14. The current Miss World 2013, Megan Young from the Philippines graced the event. Shakela Bellamy and Melanie Park were the second and first runners-up, respectively.